Host Miss Panti Bliss opens the show in her parlour, welcoming guests and offers a ‘Panti Monologue’ a personal observation on life as she sees it. In this episode, her guests talking of turning points in life are Mark Pollock, the blind now paralysed adventurer who is exploring ways to walk again. Lawyer Simone George, Mark’s partner, is in the mix talking about her journey to make Ireland safer for women and scientist Dr. Niamh Shaw talks of her dream of going into space. 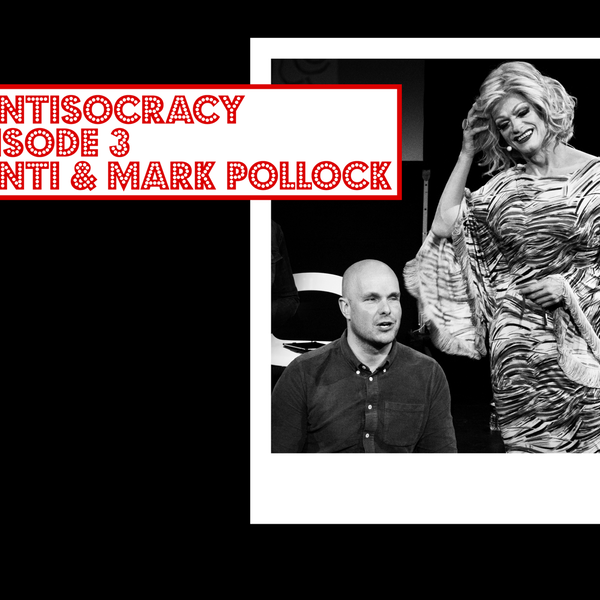 Pantisocracy - Season 2 - Episode 1 - Fiachna Ó Braonáin and Cait O'Riordan "Firefighter"